Rebuy it? Rather yes. Why? Aldo Vandini is a brand I really like because of the smell of their products! So far I had a massage oil, a hand cream and this body scrub from them. The reason why I loved it may at the same time be the reason why you wouldn't want to buy it: the scrub particles are really big! Rather little stones than sand (speaking of size). This scrub may thus not be suited for sensitive skin but it worked better than any other scrub on really dry areas and makes my skin super soft. In Luxembourg they sell it at my favourite supermarket so I'm quite likely to repurchase it at some point or another. Rebuy it? Rather not. Why? I got this for my 19th birthday and never wanted to use it up because it was my first The Body Shop product ever. Meanwhile it had gone bad somehow and the smell wasn't nice anymore. The reason why I would rather not repurchase it is that The Body Shop has got so many gorgeous smells to offer that I want to try them all! Rebuy it? Rather not. Why? I have only written a review about all my Benefit stuff lately. Now that I used it up I may add that this face cream also has the benefit (see the pun?) that it slightly makes your pores look smaller. The reason why I'm not going to rebuy it even though I liked it is that Benefit is simply too expensive for a daily use. Rebuy it? Rather not. Why? At first when I got this nail polish remover I loved it! (Read my first review here. )The push-button was pretty cool to use (but not that handy for me as I often also like to use cotton swabs for my nails). The smell was pretty good as well (tangerine aroma) and I liked the fact that it is acetone-free. So why not repurchase it? Because the Ebelin nail polish remover I'm using now is even better (better smell and better at removing dark nail polish). What have you guys been using up last month? Can you recommend me another deep conditioner for my hair? I love the Benefit moisturiser, I had to splurge on it. Best thing for my dry skin! these reviews you make are really the best, very well written and very honest. so cool of you! Toller Post. Alle Peelings die ich bisher gekauft habe, gefielen mir nicht. Ich war auf der Suche nach einem mit größeren Körnern. Werde es mir sofort kaufen!! So glad you included body shop. i love their products. the satsuna and mango shower gels are nice. Hi Carmen, I always find these posts so helpful. 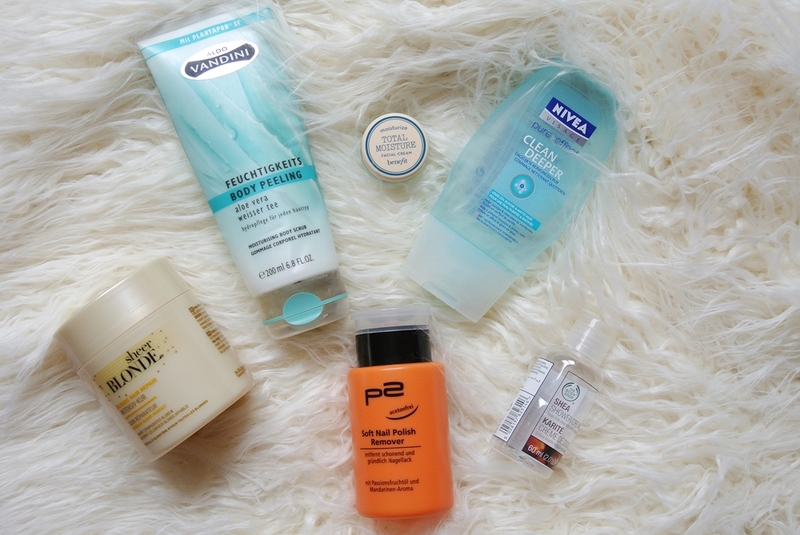 A very wide range of brands, interesting to see, I wanted to try the Nivea wash, now I know whats it like. I also don't think Id go for Shea scent, something more fruity maybe. I agree benefit is pricey for everyday. 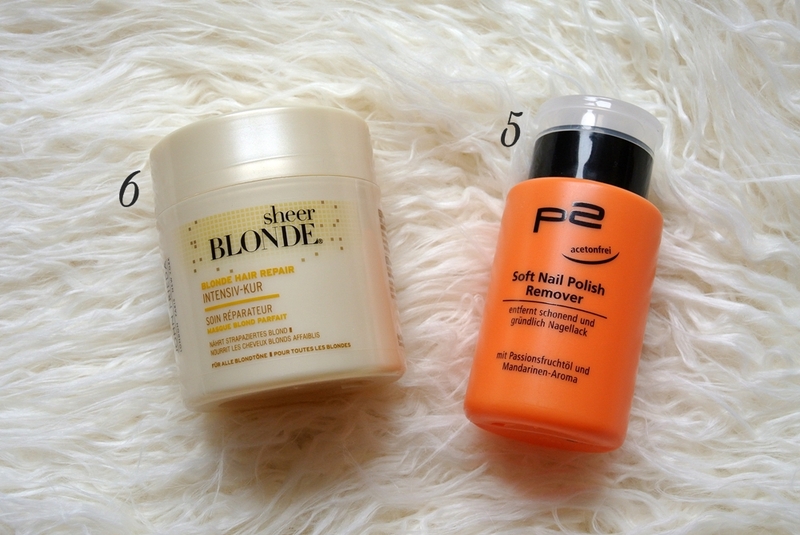 Ive heard the Sheer Blonde products are really good for ombre hair. 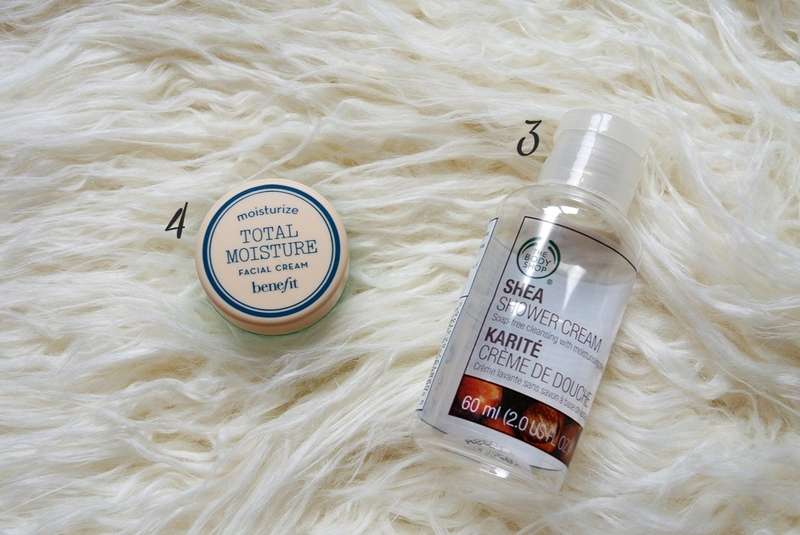 I really loved reading about the products that you tried! I am always looking for some new great product to try and I like to know what is fantastic! 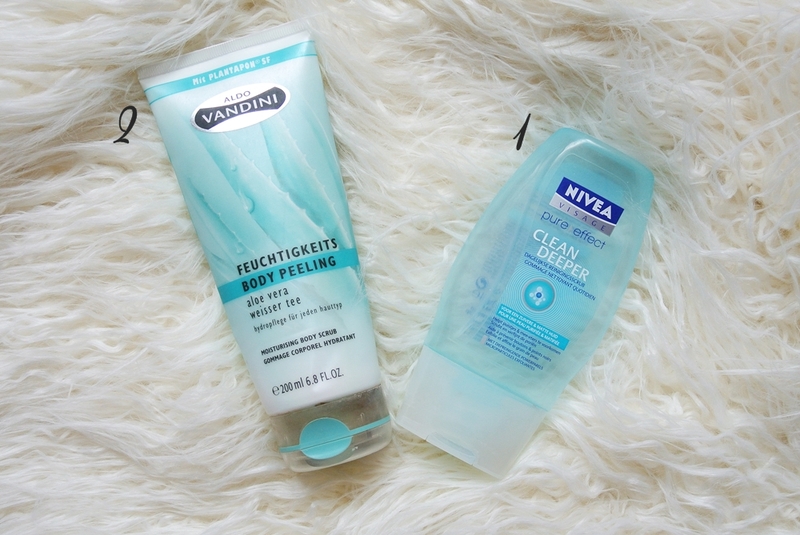 The Aldo Vandini aloe vera scrub sounds awesome and I would love to try it!